Obsidian Snowflake gemstone chips for jewellery making. 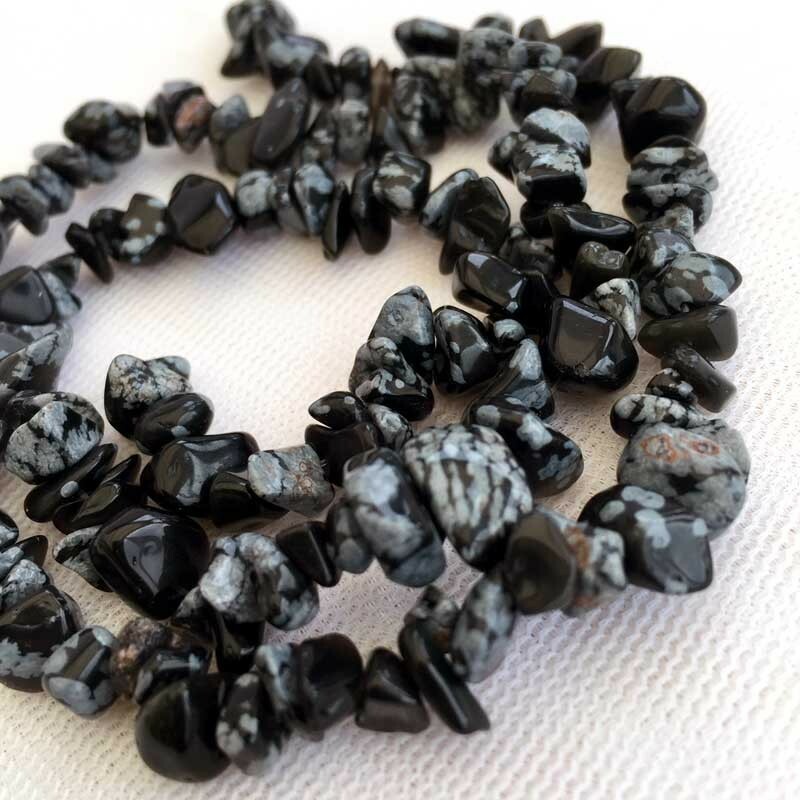 Natural Snowflake Obsidian stone chips sold on a strand. 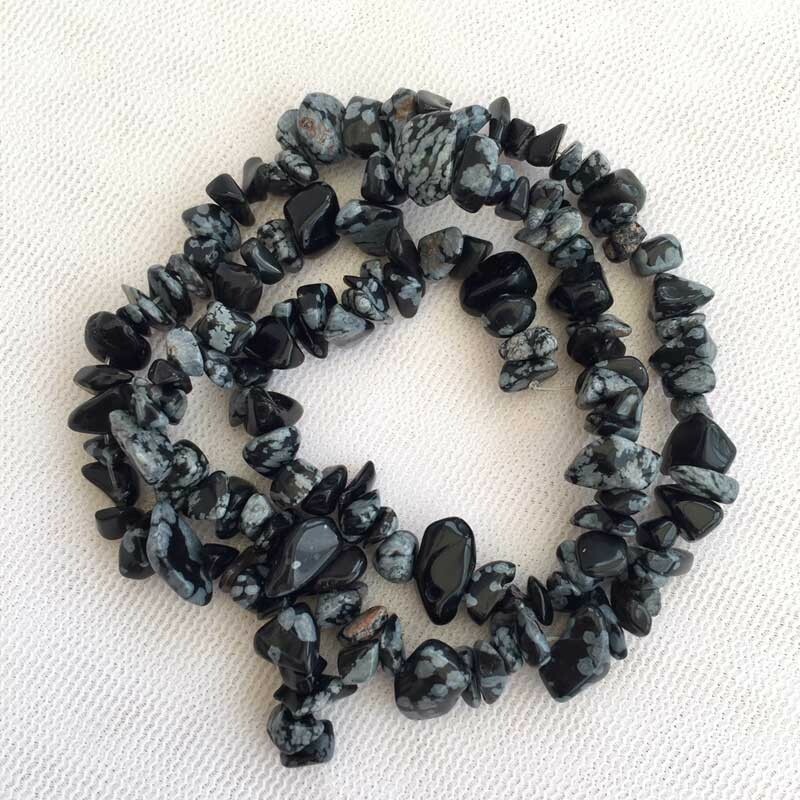 Natural Obsidian Snowflake gemstone chips 6-8mm, approx. 40cm strand for jewellery making. Use these beautiful stone chips for DIY a bracelet or necklace.